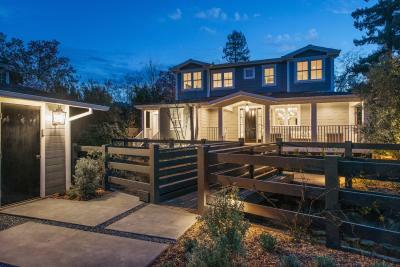 Situated on one of the largest lots in Sycamore Park, widely considered Mill Valley's premier neighborhood the latest KCS Estates iconic luxury home is a modern take on tradition. 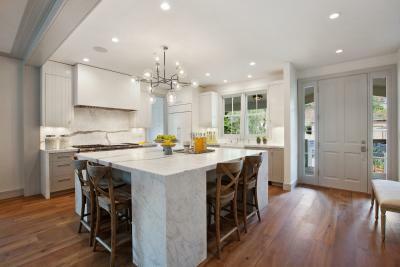 This custom built ~3,500 square foot, 5 bedroom, 4.5 bath home embodies the aesthetic of Modern Traditional design, seamlessly blending the elegance of a traditional home with clean lines, open floor plan & stylish finishes. 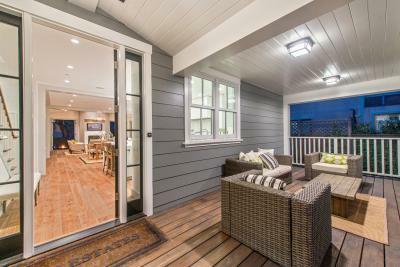 A gracious covered front porch provides a casual outdoor sitting area perfect for catching up with family or neighbors. The elegant great room features a fully equipped chef's kitchen, complete with adjoining pantry/mudroom, open dining area and spacious living space with dual sided custom paneled, honed Statuarietto marble fireplace. The sumptuous master suite features his and hers closets, a spa like bathroom, private office and generous bedroom with sliding doors leading to the private deck with built in spa. The main level also includes an additional guest suite and second living area, complete with kitchen and separate exterior entrance. 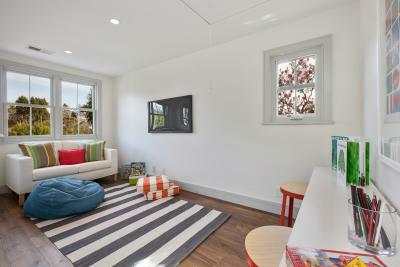 This flexible space is ideal for long-term guests or an au pair. 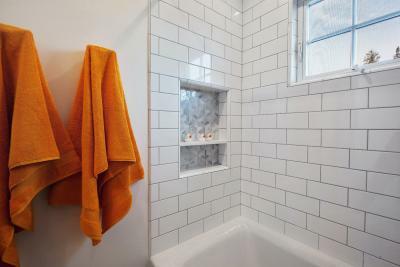 Upstairs is a junior master with en-suite bath and walk in closet, two additional bedrooms share a bath, along with a separate cozy lounge area and conveniently located laundry room. 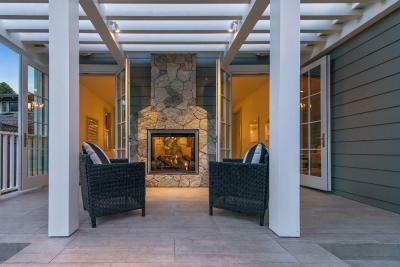 From the stately front porch to the dual sided fireplace with its outdoor sitting area, this home has been crafted and designed to make full use of the expansive level lot, creating the perfect backdrop for today's active family. French doors beautifully flank the great room fireplace and lead to the trellis-covered loggia with its cozy seating area before spilling onto the flat, sunny lawn. Anchoring the yard a poured in place patio offers ample seating around the fire pit, providing the ideal place to spend a summer evening with friends and family. No detail was spared in the creation of this stunning home. 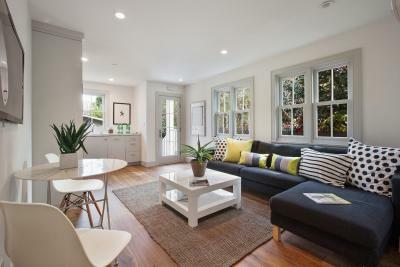 The open, well thought out, floor plan is designed to meet a family's needs through every stage. 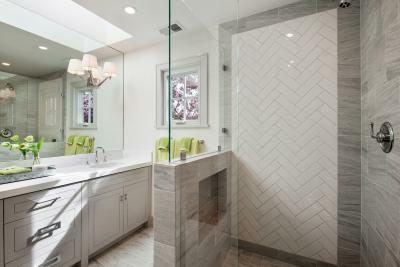 Traditional and modern design elements fuse seamlessly to create an aesthetic that refuses to be trendy or become outdated. It is the Modern Traditional. 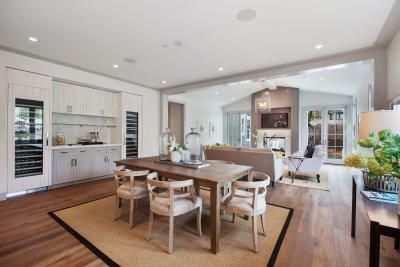 Outdoor Living: Level and expansive ~10,000 square foot lot offers seamless indoor/outdoor living. Trellised loggia with outdoor stone fireplace and seating area accessed directly from the great room. 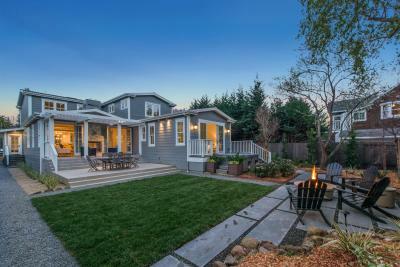 Spacious covered front porch, built-in Hotspring Spa and sunny level lawn with fire pit seating area . 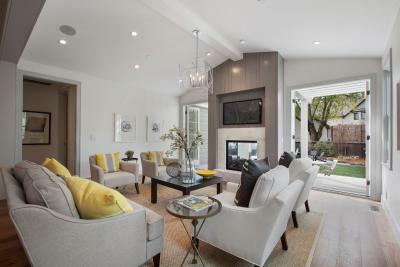 Spacious rear patio ideal for casual outdoor dining and entertaining. Two forced air-heating systems provide multi-zoned temperature control. Ready for two air conditioning units. 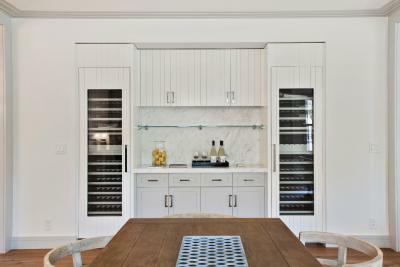 Kitchen: Custom painted cabinetry, 60" Wolf dual fuel range with char broiler/griddle, 42" Sub-Zero refrigerator with custom paneled french doors, Bosch dishwasher. Master Suite: Multi room suite designed for maximum privacy and ultimate flexibility. Spacious bedroom features vaulted ceiling and sliding doors that spill out to the backyard and private deck area with built in Hotspring Spa. Second room in suite perfectly suited for multiple uses: home office, gym, nursery or dressing room. 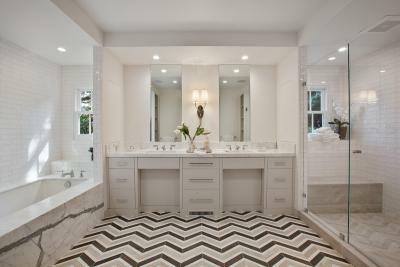 Master Bathroom: Spacious master bath with his and hers vanities and linen closets featuring stunning Walker Zanger Sterling Row Linen Tuxedo chevron tile floor beautifully complemented by the sleek custom cabinetry, Pietra Fina Statuarietto marble and AKDO Origin White Birch tiles. Oversized shower and soaking tub with Pietra Fina Statuarietto marble waterfall tub deck. 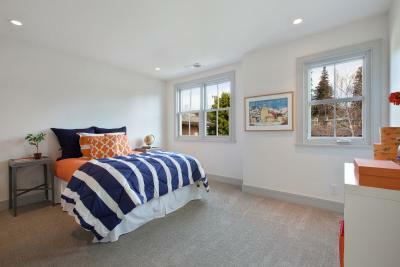 Upper Level: Private junior master suite with walk in closet and en-suite bath. 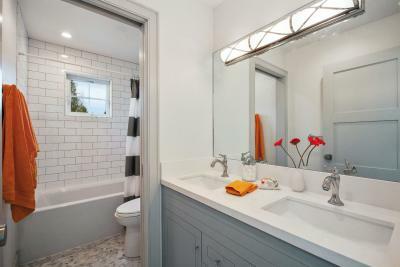 Two additional, generously sized, bedrooms with shared double vanity bath. Lounge area perfect for kid’s homework or hang out space. 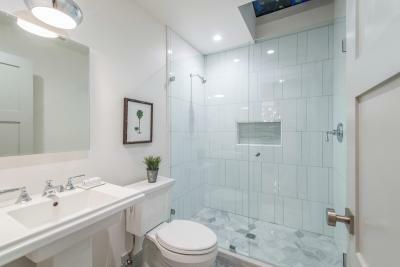 Guest Apartment: Separate front entry and interior door connection allowing for complete privacy or comfortable extended family visits. 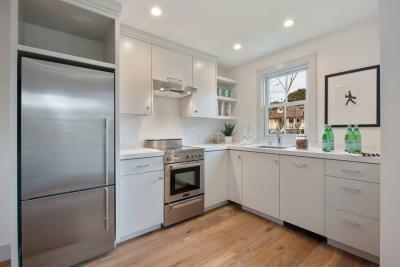 Kitchen with Organic White Polished Ceaserstone countertops, Wolf cooktop, Fisher & Paykel refrigerator, dishwasher & custom cabinetry. Full bath with stall shower in AKDO Bruokku Ash Grey Mosaic and Ash Grey polished accent tile. 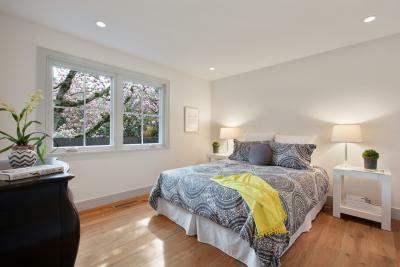 Independently controlled temperature zone and Bedroom with generous closet.